The forecast had been daunting all week and on arriving at Queen Mary it was as expected. White horses were strewn across the lake and a nasty cross-onshore direction hindered launching. Gusts were into the 40s with the prospect of it moderating later in the day. Five committed RS Aero sailors went for it. Class Chairman, Peter Townend (Chelmarsh), boldly went for his 9 rig and Gareth Griffiths (Island Barn) followed suit with his 7 rig. Many European sailors I speak to talk of the Bloody Mary with some envy, without any comparable event in their own country. Many would like the opportunity to experience the numbers and atmosphere of our iconic lead event. My friends Pierre Kieffer and Andre Friederich of Luxembourg had contacted me a month earlier to see if I could organise something for them and, coincidentally, it just so happened that I had the RS Aero demo boats available! They flew in and had a tourist day in London on Friday, then I picked them up from their Hotel on Saturday morning for their much anticipated Bloody Mary fix. 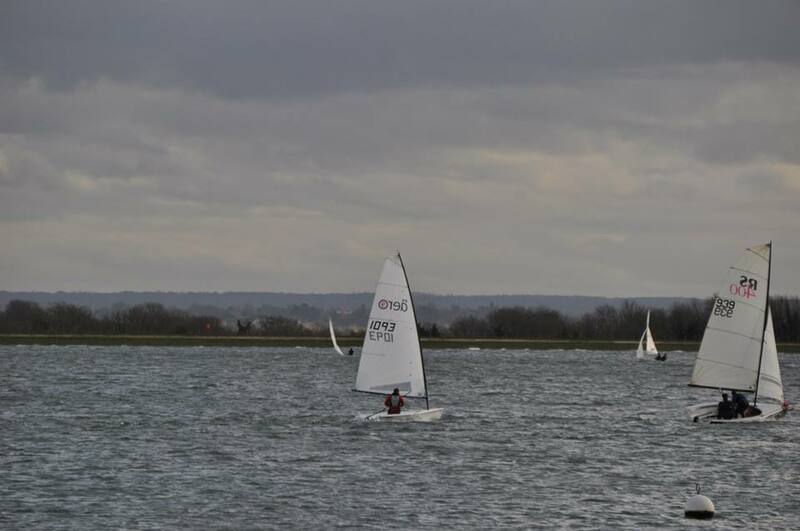 Even after the wind had moderated somewhat by start time the conditions still had nasty gusts in excess of 30kn. I was very grateful for having the RS Aero 5 option available and it was the right choice from both an enjoyment and a sensible seamanlike view for a long race with old legs! Even so, I still had 2 capsizes and that water was cold! 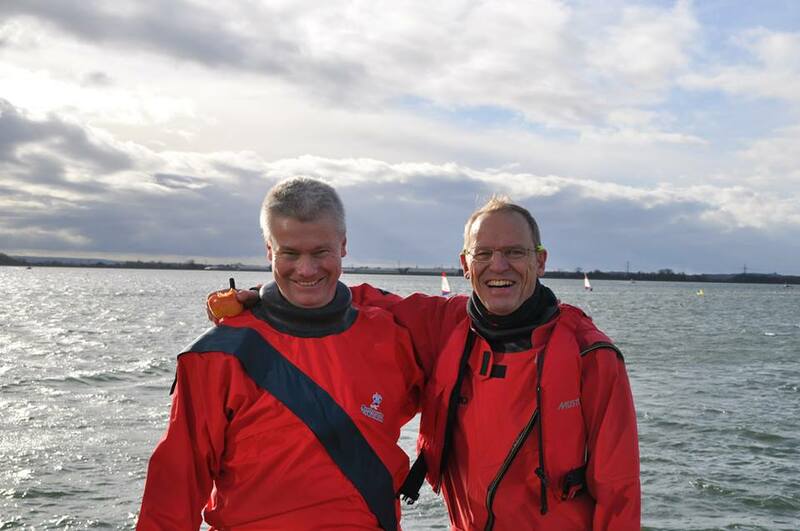 Our two visitors from Luxembourg, who usually sail quite different boats, also opted for the 5s on their maiden RS Aero sail. Had that option not been available they would probably not have launched and fairly certainly would not have finished. 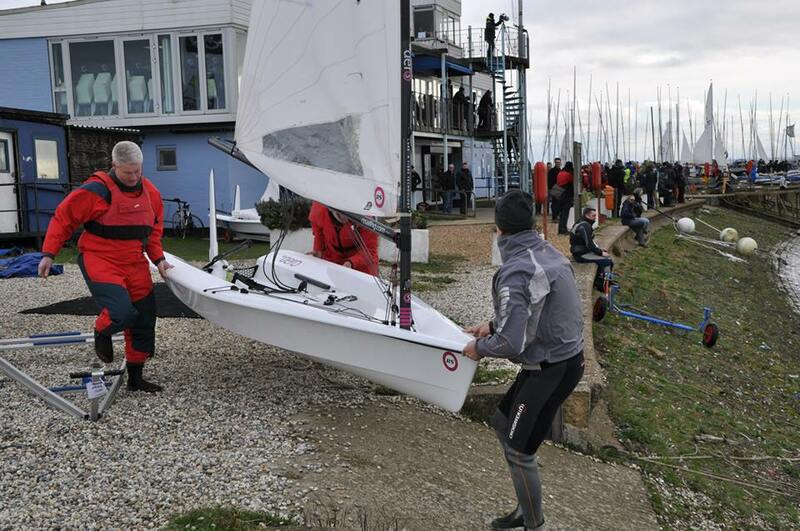 One of the sailors was 100kg and it was still the right choice, plenty of boat and plenty of power! As it was we all had a great exhilarating days racing with no damage to report, rather than a wasted day or a torrid time. Thumbs up for versatility! Early in the day I was sure that Team Luxembourg was going to have to return another year to complete their ambition. However, all three RS Aero 5s finished, as did the Gareth Griffiths in his RS Aero 7, which was an awesome achievement. 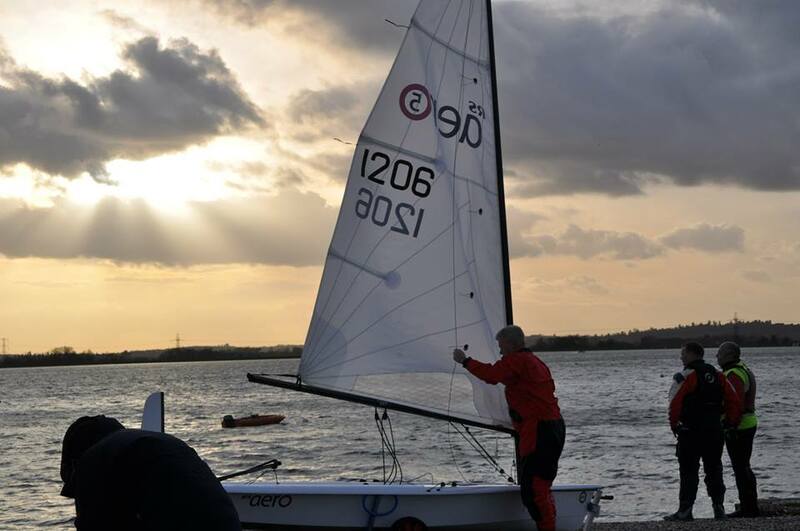 Peter Townend gave it a valiant effort with the RS Aero 9 rig until the warm showers seemed a much nicer option. With the notorious steeply shelving sides of Queen Mary, coupled with big gusts in the cross-onshore wind, we made the sensible decision to do away with our launching trolleys. Both to launch and recover with three people, one in each corner, it was very simple to just carry the light RS Aeros down the steep banks and into the water! A very satisfied Pierre Kieffer said on coming ashore; “we sailed not too badly on boats that we never touched before, and with results I was fond off. The RS Aero is a fast, light, well finished boat with a high fun factor but still manageable with a 5 rig in 6bft + conditions, what a good surprise". Full Photo Gallery by Sabine Kieffer here. Full Bloody Mary results can be found here.